Professor Michelle Briggs was appointed to the Florence Nightingale Foundation Chair in Clinical Nursing in January 2017. This post represents a partnership between the University of Manchester, Manchester University Hospitals NHS Foundation Trust and the Florence Nightingale Foundation. Professor Briggs joins the Trust from her previous post as Professor of Nursing at Leeds Beckett University, where she was Co-Director of the Centre for Pain Research. 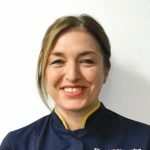 She has worked clinically in orthopaedics and trauma intensive care in Nottingham and London before moving to Leeds where she worked in practice development at Leeds Teaching Hospitals NHS Trust and Leeds Community Healthcare. Her research is contributing to a greater understanding of the difference nurses can make for people in pain. She has an international reputation for her research in wounds and pain and she works closely with colleagues in the NHS and patients to ensure that her research addresses important questions for patients and for clinical practice. Her research has been used in NHS practice and policy guidelines nationally and internationally. Her current research programme has two themes – improving patients’ experience of pain management and addressing inequalities in pain management particularly for those in pain who are marginalized or where pain may go unrecognised. Tim started working for CMFT in 2009, having worked in health services research and support for 20 years, previously as R&D Manager for Research Design Service NW at Salford University. Tim is proud to have played a role in establishing CMFT as a leading NHS centre for the development of NMAHP clinical academic careers. He looks forward to further supporting NMAHP research and clinical academics at MFT. Karen is a Nurse and Midwife who has held a number of senior Nursing Midwifery and Managerial roles within her 33 year NHS career. Karen joined MFT in May 2018 and is delighted to join such a progressive research team and looks forward to working to promote research and innovation in practice to support the delivery of excellence within clinical care.